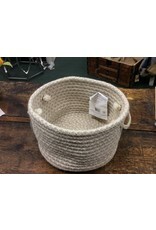 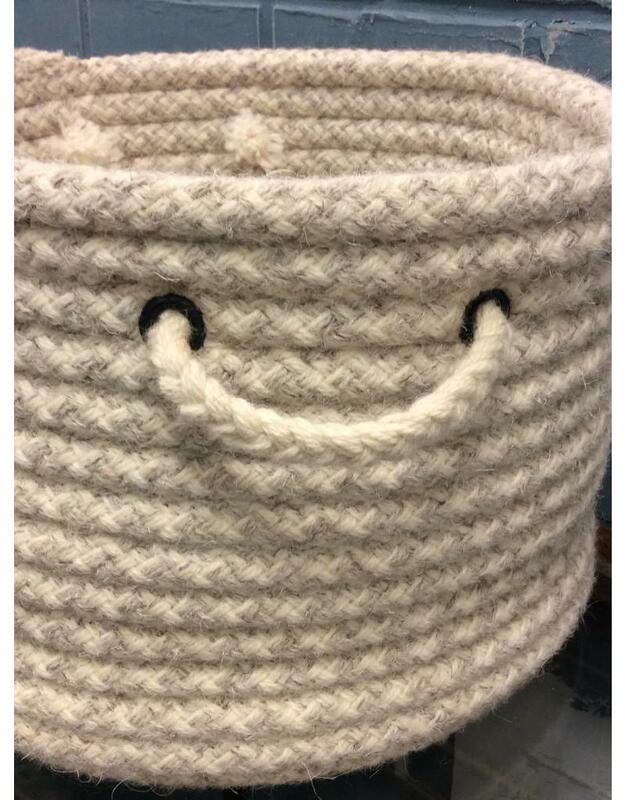 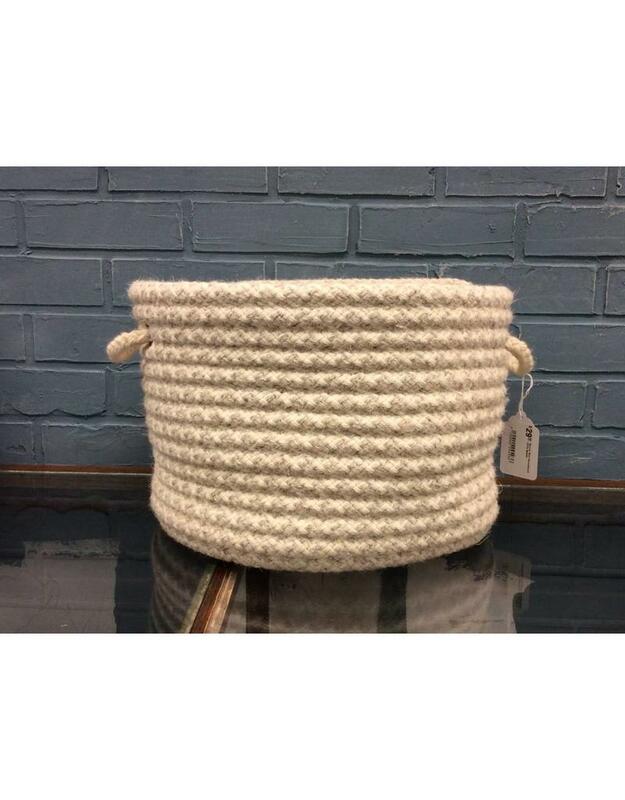 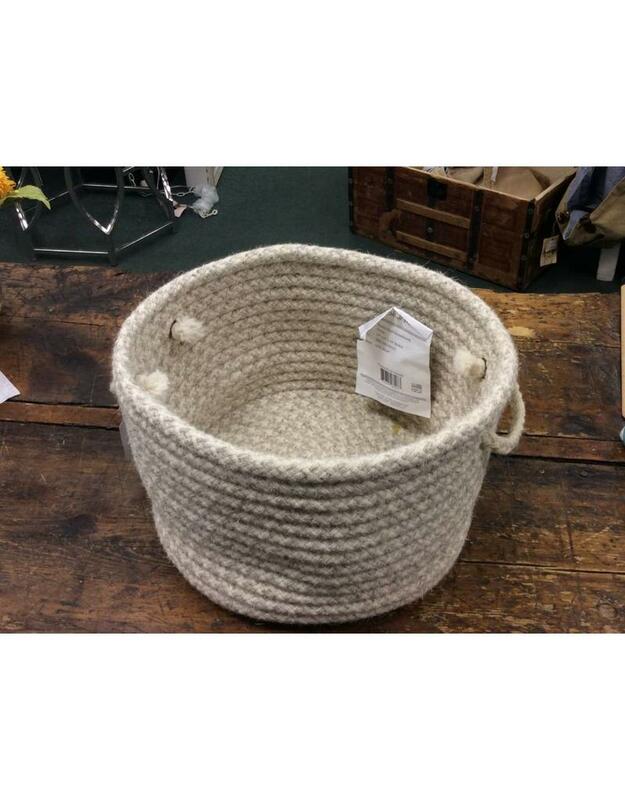 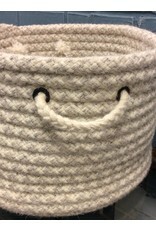 Brand new, braided basket made from 100% wool. 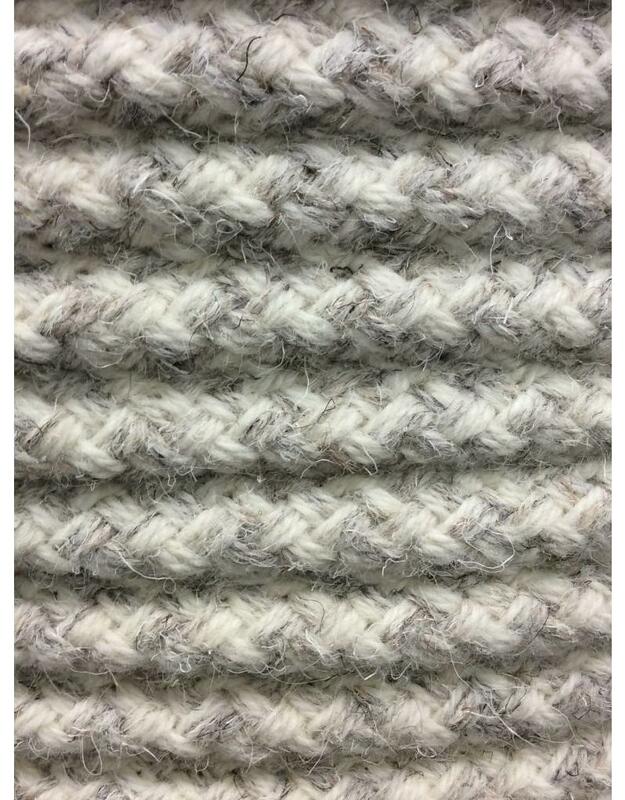 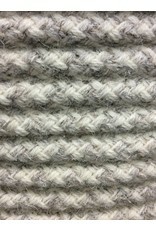 Gray and natural beige woven together to create a neutral color pallet to easily be used in almost any decor. 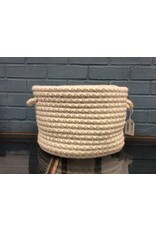 Two carry handles makes toting the basket around easy.